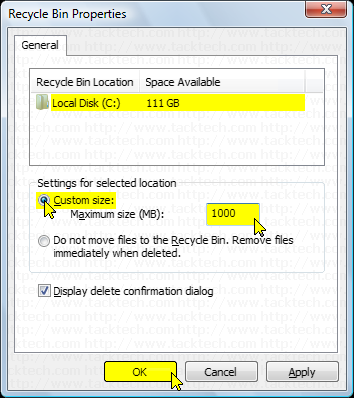 Change the Maximum size of the Recycle Bin (Windows Vista) - TACKtech Corp. Select the Custom size: option. 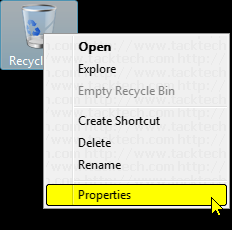 Type in a new maximum size into the Maximum size (MB): textbox.